Marc is originally from Papillion, NE. He graduated from the University of Nebraska Lincoln with a Bachelor’s degree in Nutrition Exercise and Health Science. 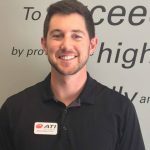 He spent 2+ years with the UNL Sports Nutrition Program as a Lead Intern in addition to working with the Strength and Conditioning Department. Marc worked extensively with the Cornhuskers Men’s Basketball program and was responsible for the incoming scholarship freshman basketball players during the off season. In that role, he worked with each player individually to achieve their strength and conditioning goals. He also has two years of experience with the Huskers Football team and was involved in the Huskers Olympic Sports program. During this same time, Marc continued his work being a personal trainer working with a numerous clients of all ages. Marc attended Gross Catholic High School in Omaha where he participated all four years, with three years at the varsity levels in both baseball and basketball, earning All Conference recognition. He continued with baseball on the Huskers Club Baseball team for two more years until he began his work in the athletic department. 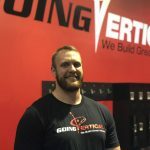 Marc is a Certified Strength and Conditioning Specialist through the National Strength and Conditioning Association and actively involved with Postural Restoration (PRI) in which he has studied fitness and movement techniques as well as pelvis restoration.